The modelling industry is already competitive as it is. Throw in a surge of Social Media and see what happens. The new ‘it’ girl line up is comprised of names like Kendall Jenner and Gigi Hadid, who have been deemed the supermodels of the generation. Sites like Twitter and Instagram have given them a leg up to social and professional stardom, but how has our beloved Social Media changed the face of the modelling industry as we know it? Some of the more seasoned models in the industry have commented on the effect of Social Media on casting. Specifically, how a good following holds equal importance to having ‘the look’. Recently, some agencies use Instagram to scout new talent, IMG being one of the biggest, who encourages girls to use the hashtag ‘we love you genes’ to make themselves known. Whilst this makes youthful dreams a tangible prospect, maintaining a persona is just as important as creating it. Rachel Finninger commented on how hard some girls work to stay relevant, ‘It’s exhausting trying to find your niche and build a brand around it,’ hinting that maybe so much effort is needed because the persona is not sincere. Brands want a face that will represent them to the masses. Storm Model Management’s Sarah Doukas confessed to Vogue, “Looks are obviously still first and foremost, but if you have two girls who are both perfect for something, without a shadow of a doubt the one with the bigger social following would win the job.” Though some models may resent their excessive use of social media in hindsight; like Kendall Jenner, who has an army of followers and the most liked photograph on any Social Media platform now admittedly limits what she posts online. However, most are happy to use this stage to share intimate details of their lives. The voyeuristic society we live in allows us to take a curious front seat into celebrities lives – and models as glamorous as they are, are among the most sought after. One thing recent Fashion shows have in common is the sea of glowing screens that infiltrate the crowd. Because Social Media is so quick, the high street can imitate lines straight off the runway. In the past, Fashion shows were a closed off event, and one would have to wait months to see what the designers came up with for the season. The current set up really takes the intimacy out of the experience. There is often a barrier between the model and the crowd – a somewhat detached audience looks on through a snapchat filter instead of watching the show in real time. It is the paradox of our time: we are now more connected than ever but at the same time we are in a state of constant disconnect. 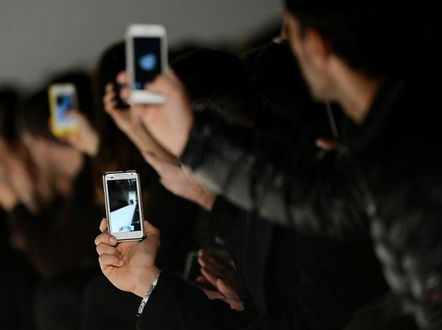 As a result, fashion week has lost its fabulous exclusivity as we can now watch nearly every event online, even get a back stage seat if you follow the right person on Instagram. In a model’s early twenties, their career is usually in flourish mode. But the young girls of the upcoming generation receive commendation before their true toil. Take Gigi Hadid, who was regarded Models.com’s Model of the Year 2015 (readers’ choice). She had only walked eight shows. Her personality and online following are all things taken into consideration when measuring her ability as a supermodel. This is all part of a specific branding, aimed at giving her an employable yet unique personality. Her likeability is not in question; it is a question of her practical experience as a professional model in receiving this accolade when there are more established models out there. Once again, the Social Media popularity contest has determined professional ranking – just as getting employed in the first place. The future of the modelling industry is speculative, some like Naomi Campbell believe that our shiny new ‘supers’ won’t last long. But the majority of emerging talent across many disciplines uses social media to shamelessly promote themselves. And guess what? It works. From an audience perspective, the barriers between the traditionally private lives of models and the rest of us are blurring. And this new way of scouting is unearthing interesting new talent that may not have been noticed. The rising star with the endearing personality has the ability to reach an age of young people that are slowly disconnecting themselves from conventional advertising whilst still being popular enough to reach the masses on traditional media. I can’t help but wonder what the original line up of 90’s models would have achieved given this power in their prime.